Because we are both former legislators from Androscoggin County, I’ve had many opportunities to work with Jared Golden over the past four years. Despite deep disagreements on important issues, I’ve always respected him as both a person and a legislator. Golden had a very liberal voting record, but he represented a liberal area in the Maine House of Representatives. Now that he represents a more conservative constituency in the 2nd Congressional District of Maine, however, I hope he will represent us all accordingly. That’s why I’m disappointed with one of Golden’s first acts in Congress: Joining Nancy Pelosi and House Democrats to co-sponsor the so-called “Welfare for Politicians” legislation. Under this wide ranging campaign finance legislation, HR 1, American taxpayers would be forced to pay candidates for federal office $6 for every dollar raised from individual contributors under $200. For Rep. Golden, this could mean an influx of $9 million in taxpayer money to his 2020 re-election campaign, should he keep pace with his 2018 fundraising numbers. For Mainers, handing our hard-earned tax dollars over for political campaigns may sound familiar. For the last 17 years, Maine taxpayers have been forced to fund a similar welfare for politicians program on the state level, commonly — and misleadingly — known as the “Maine Clean Elections Act” (MCEA). Most troublingly, however, taxpayer-funded political campaigns have completely failed to achieve their stated purpose. 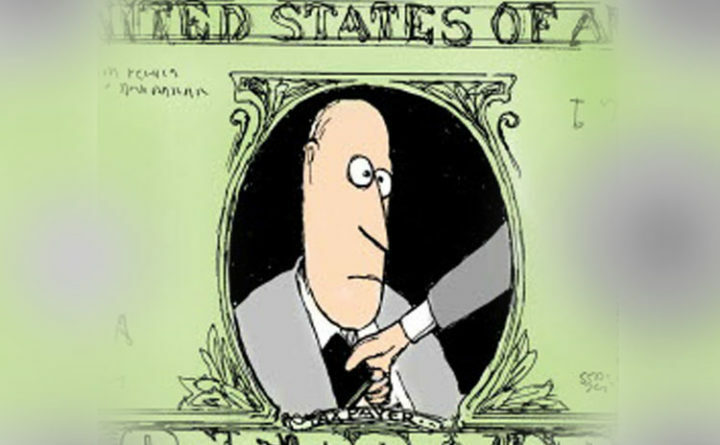 Sold to Maine people under the false premise that they would “get outside money out of politics,” a 2012 study by Duke University found the Maine Clean Elections Act did nothing to accomplish this goal. In the eight years analyzed by the study, outside independent expenditures to influence Maine state elections increased more than 400 percent after the institution of taxpayer-funded political campaigns. And it’s easy to understand why. Well-known Maine Democratic lobbyist, Jim Mitchell, “gave the majority of his donations to candidates in 1998 and 2000 [before implementation of the program], but from 2002 on, he directed his donations to the Maine Democratic Party and the Maine Democratic House and Senate Campaign Committees,” the report said. In short, since the inception of the program, Maine taxpayers have been forced to funnel $40 million into a program to end special interest influence and the result is just as much special influence in these campaigns as there was before. With such an abysmal record, why has this failed government program been allowed to swindle $40 million from Maine taxpayers over the last 17 years? Simple: politicians love it! And why wouldn’t they? They get millions in “free money” for their campaigns and continue raking in many millions more from lobbyists and special interests. Politicians become addicted to this taxpayer-funded gravy train. While programs for our most vulnerable — our seniors and intellectually disabled adults — go regularly underfunded in Augusta, the Maine Legislature nearly revolted last year when taxpayer funding for their re-election campaigns was at risk. Of course, the politicians ultimately control how our tax dollars are spent, so they all got their campaign welfare checks while our most vulnerable are still waiting for basic services. Now, Golden is joining Pelosi to replicate this failed program on the federal level. If they succeed, the special interests will carry on just as before while Maine people surrender more of their paychecks to Washington, D.C. This isn’t good government. This is welfare for politicians. Eric Brakey is a former two-term state senator from Androscoggin County and 2018 Republican nominee for U.S. Senate.